This magnet is produced with commercial grade 0.4mm magnet material to ensure longevity of the product, and has a finished thickness of 0.6mm. 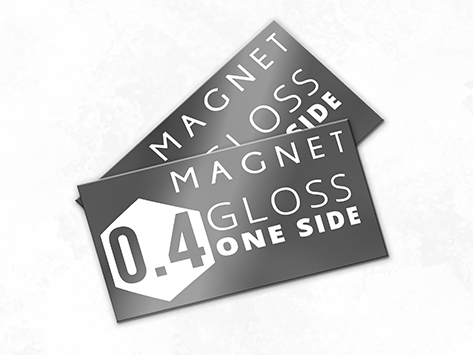 Each magnet is finished with a Gloss Celloglaze which is extremly popular in the industry. Magnets come with square or 3mm rounded corners, free of charge Great for plumbers, electricians, pest control, etc.